Real estate is the land, property, building, underground rights, and above-ground rights to the area. The term real estate means physical or real, property. A fun fact is the U.S. Constitution initially restricted voting rights to only those who owned real estate. Residential real estate includes both resale homes and newly constructed homes. The most commonly used category is single-family homes. There are also other types such as vacation homes, townhouses, condominiums, co-ops, duplexes, triple-deckers, quadplexes, and high-valued homes. This entails strimalls and shopping centers, medical and educational buildings, offices and hotels. Apartment buildings are considered commercial, even though they have residents in them. This includes manufacturing properties, buildings, and warehouses. Buildings that distribute products are considered commercial real estate. The classification of commercial real estate is important because construction and sales are handled differently. This real estate entails vacant land, working farms, and ranches. The real estate subcategories within vacant land are undeveloped, early development or reuse, site assembly and subdivision. The real estate industry is a key driver of economic growth. We will dive deeper into producing, buying and selling real estate. Brand new buildings is a piece of gross domestic product. This includes commercial, residential and industrial buildings. It contributes around 6 percent to the U.S. economy, around $1.2 trillion or so. The goal of an agent is to assist businesses, investors and homeowners to buy and sell all four types of properties. A real estate agent has typically divided up into a specialist that focuses on a single type of housing market. A seller agents goal is to help you find buyers through their professional contacts. They can help make your property pop so it looks best for the customer. Their goal is to help you get the highest price possible. A buyer agent knows their local market. The means they can find a property that meets your criteria. They compare prices of similar houses and that allows them to guide you to areas that meet your budget. A buyer agent will negotiate for you and accel at pointing out reasons why the seller should accept a lower price. They’ll help you with all the legalities of the process, including inspection, financing, and title search. 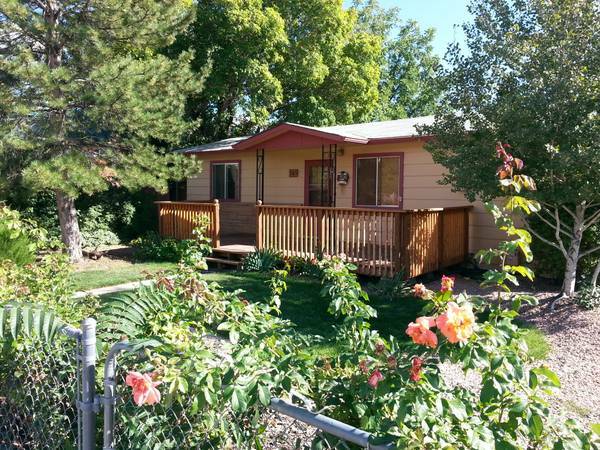 You can contact Fruit & Wine Real Estate here or call us at 970-464-5100.